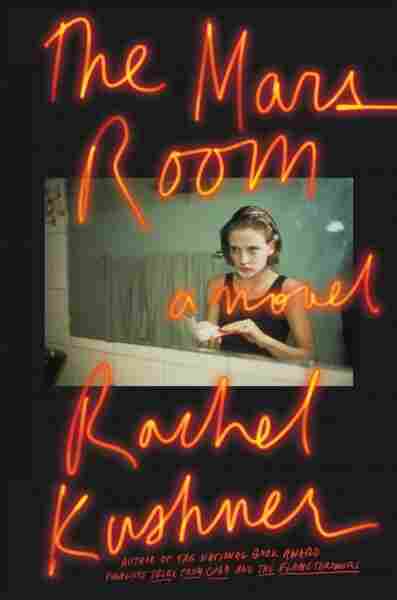 Brilliant But Devastating, 'The Mars Room' Chronicles Life Behind Bars Rachel Kushner's heartbreaking, nearly flawless third novel centers on Romy Hall, a young woman who's just been sentenced to two life sentences for beating her stalker to death. Romy Hall has run out of time and hope. The protagonist of Rachel Kushner's third novel, 29 years old when we first meet her, has resigned herself to the likelihood that she'll die in prison; she's been sentenced to two life sentences for beating to death a man who stalked her. "I don't plan on living a long life," she says. "Or a short life, necessarily. I have no plans at all. The thing is you keep existing whether you have a plan to do so or not, until you don't exist, and then your plans are meaningless." There's very little sunlight, literally and metaphorically, in Kushner's brilliant and devastating The Mars Room. The novel opens with Romy, along with 59 other inmates, being bused to a women's prison in the Central Valley of California, in the middle of the night. Romy is forced to adjust to the cold, fluorescent lighting of her jail cell; time outdoors is a rare commodity, especially since the young woman almost immediately lands herself in administrative segregation after helping a pregnant prisoner who has just gone into labor. Imprisonment means that Romy's life has gone from bad to worse. One of the only joys in her life before her arrest was her young son, Jackson; otherwise, her job as a lap dancer in a seedy club had left her empty and unhappy. "I said everything was fine but nothing was," she says. "The life was being sucked out of me. The problem was not moral. It was nothing to do with morality. These men dimmed my glow. Made me numb to touch, and angry. I gave, and got something in exchange, but it was never enough." The Mars Room goes back and forth in time, and switches perspective among Romy and a cast of related characters, including Fernandez, a fellow prisoner; Gordon Hauser, a prison teacher; and Doc, a crooked, sociopathic police officer. Most of the pages, though, belong to Romy, who recounts her drug-addled childhood as a "white punk on dope," and her life as a lap dancer, where she encounters Kurt Kennedy, a customer who begins stalking her, following her from San Francisco to Los Angeles. The bulk of Romy's chapters focus on life in prison, and her friendships with inmates like Fernandez, who's been in and out of custody for much of her life, and Conan, a transgender man with a twisted sense of humor and a love for fashion and cars. Romy spends much of her time desperately trying to track down her son, who has become a ward of the state after the death of Romy's mother. The Mars Room is a necessarily claustrophobic book, but that's not at all a bad thing. Kushner does a masterful job evoking the isolation and hopelessness intrinsic to a life behind bars; she never resorts to cliché or pathos, but still manages to convey the emotional torture to which prisoners are subjected on an hourly basis. "You go to ad seg and you don't stop having feelings," Romy explains at one point. "The quiet of the cell is where the real question lingers in the mind of a woman. The one true question, impossible to answer. The why did you. The how. Not the practical how, the other one. How could you have done such a thing. How could you." Kushner doesn't make a false move in her third novel; she writes with an intelligence and a ferocity that sets her apart from most others in her cohort. Kushner's greatest accomplishment in The Mars Room is the character of Romy. She doesn't ask the reader to pity her; indeed, Romy seems allergic to pity, even at her most desperate. She's torn apart at the thought of never seeing her son again, but she can't bring herself to regret killing Kennedy, the man who subjected her to "tireless stalking, the waiting, the following, the calling, the calling again, the surprise appearances." And it's difficult to begrudge Romy her lack of remorse. The other characters are all perfectly rendered as well. In Gordon Hauser, the teacher who befriends Romy and sends her books, the reader sees how naive idealists can get beaten down by a cold bureaucracy; and with Doc, the dirty cop, Kushner illustrates how some people don't possess even a glimmer of decency — he's one of the most terrifying, convincing villains to come around in literature in quite some time, all the more scary because of how banal and reflexive his cruelty is. Kushner doesn't make a false move in her third novel; she writes with an intelligence and a ferocity that sets her apart from most others in her cohort. She's a remarkably original and compassionate author, and The Mars Room is a heartbreaking, true and nearly flawless novel.